Now when KO.ASP is started because an error occured can i get the page name that go in error ? If it is possible how i can do this ? cmdsql="insert into tab_errori values(" & d & ", '" & errore & "' ,'" & pagina & "','" & dispositivo & "','" & agente & "')"
The only way to get the request url is check the iis logs, since we couldn’t get the url customer type into the browser address bar. 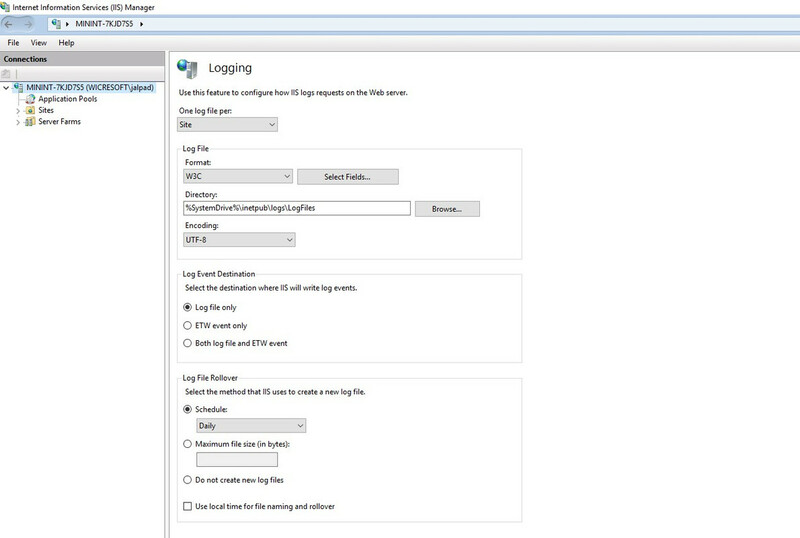 IIS logs will include every web request that flows through your IIS site. By default, each logged request in your IIS log will include several key fields including the URL, querystring, and error codes via the status, substatus and win32 status.